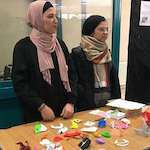 The DSMT-Dar El Tifl Higher Education scholarship Programme funds higher education scholarships for former pupils of the school to study at Palestinian universities. The scholarships are awarded by competition to able but disadvantaged girls. The award covers the fees for a whole undergraduate course (usually 4 years). Terms of the scholarship ask award holders to take a full part in university life, to undertake some voluntary work if time allows, and to act as role models for younger Dar El Tifl pupils. See examples of Higher Education Reports and application Guidance Notes. To Arwa, to study Nursing at Birzeit University. Sadly her parents are no longer alive to follow her progress. 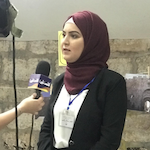 To Rawan, who had a DSMT school scholarship in 2016-18, to study Computer Engineering, also at Birzeit University. 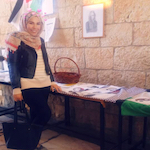 Narmeen is now in her second year at Birzeit University studying Law. 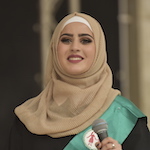 Haneen is now in her second year at Bethlehem University and has decided to change her specialism from kindergarten to primary education to broaden her future employment opportunities. 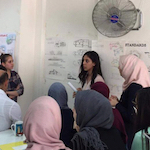 Nour is now in the third year of a degree in Architecture at An Najah University. 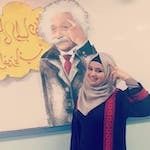 Maram is in her third year studying Physics at An Najah University. 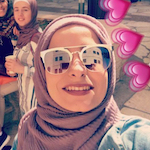 “….Living at Nablus for the second year with the same girls was wonderful. We went to places we have never visited before. We are like sisters now, also when we are on holidays we see each others. Courses this year were enjoyable especially labs, and the best was the electronics labs class. …I joined a course about how to be a good leader with a coach at university and they gave us certificate. We had a great time and it improved our personality. 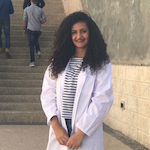 Dana is in her fourth year studying Law at Birzeit University and despite her anxieties she successfully passed her third year exams. 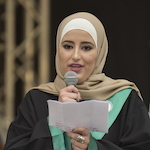 Leen completed the second year of her Social Work degree at Bethlehem University, having changed from Occupational Therapy in 2016.